One might ask why does “the Donald” need “volunteer” security when he already has the full protection of the U.S. Secret Service, local law enforcement and hired security professionals? 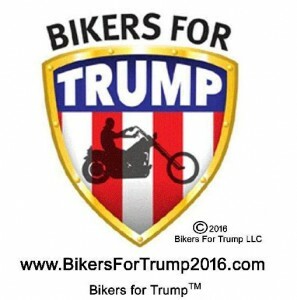 Chris Cox, organizer for his 30,000-member group, “Bikers for Trump”, watched on TV demonstrators clash with Trump supporters at the Chicago rally of March 12 and realized he could help his favorite candidate. He would “transform” his pro-Trump group into a “volunteer security force, patrolling Trump’s events.” They would identify protesters, form barriers to protect Trump supporters and, backing up local police, remove unwanted attendees. A newly formed group called Lions of Trump were equally incensed that “the Donald” faced protesters in Chicago. Thusly, it invented itself “to scour social media for likely protesters and expose them.” Their website contains a translation of a favorite saying of Italian fascist Benito Mussolini, “Better to be a lion for a day, than a lamb for eternity.” It’s a quote “the Donald” himself once used. “It’s a very good quote,” said the Strongman. Coincidentally, such political scapegoating parallels both Mussolini and Hitler who falsely and repeatedly implicated and indicted “leftists” in paving their way to gain fascist control of Italy and Germany using brown-shirts and black-shirts armed with prejudice, racism, hate and guns. The Lions of Trump repeatedly call protesters “saboteurs”, “brigands”, “plotters”, “marauders”, “anti-Americans”, agents of the “globalist agenda” who suppress any effort to Make America Great Again (or MAGA). 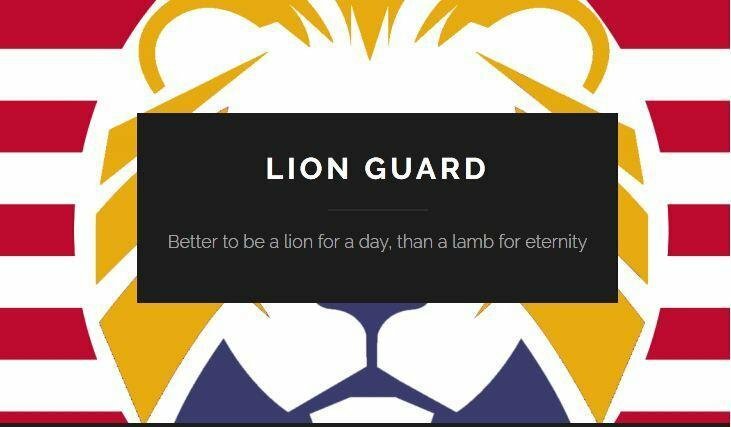 The Lions call themselves “MAGA patriots”. The first “comment” at Lions of Trump website is by poster “Tom” left on March 15, three days after Trump canceled his Chicago rally. “Protesters will not receive mercy….they will be sliced and diced into little bags.” Poster “Lion Guard” replied to clarify “Lions Guard does not support confrontation and brawling. There is no need to escalate into fights as long as the forces of order uphold the law against these marauders.” – a tireless non-denial denial. LionsofTrump.net is registered anonymously through Domains by Proxy, LLC, a service for masking the identity of a website’s owner. The so-called “globalist agenda” is not “Far-Left” however, as this group and many other far-right marginalized movements wish you to believe. In fact, so-called “globalists”, when referring to hegemonic financial institutions and “hot money” market players, are “Far-Right” who destroy socialist (e.g., “Far-Left”) nations through either monetary or military warfare; or by coups and outright assassinations of national sovereigns and leaders – as being witnessed today again in the Global South – before they attack each other (viz. Western aggressive rivalry with Russia and China). Globalists wish to undermine Sanders or anyone else who crosses the middle line and veers to the Left in order to thwart individuals, groups or nations that challenge capital and market-driven economies (U.S. and the West) by being socialist- or mixed-economies oriented to economic equity, social welfare, and universal human rights. But Trump’s aversion to the Left only differs from those of other presidential candidates by overtly “red baiting” and bullying in a style surpassing Cold War inquisitor Joseph McCarthy whose very words mirror Trumpism today: “Our job as Americans and as Republicans is to dislodge the traitors from every place where they’ve been sent to do their traitorous work,” the junior senator from Wisconsin proclaimed at the Republican National Convention in 1952. In short, Trumptarianism, apart from its fascistic elements and use of McCarthy fear-mongering, scapegoating and red-baiting, is a cult of disparate and disenfranchised followers of an authoritarian oligarch and demagogue whose movement is enforced and protected by paid security forces and volunteer private armies. Should law enforcement ever endorse Trump, Americans will have no defense against fascism in America. Trump is himself a globalist with designs to extend his real estate dynasty into Russia and perhaps China later. He “courts Putin’s favor,” wrote Josh Rogin for Bloomberg, “extending the charm offensive intended to build the Trump real-estate empire.” In 2013, the year he brought his Miss Universe pageant to Moscow, Trump met with Russian partners to discuss building a replica of his SoHo residential development project in Moscow. Since mid-March, volunteer efforts to root out demonstrators at Trump rallies have become more organized and deliberate. 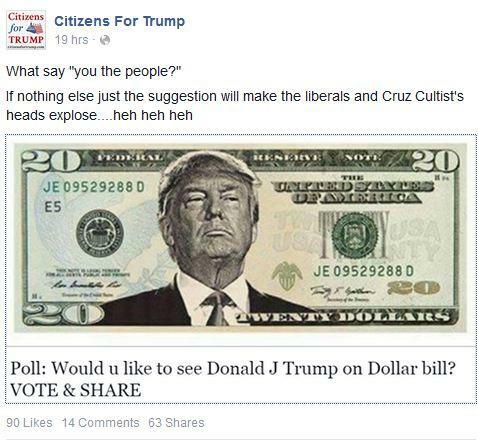 Citizens for Trump, an all-purpose grassroots support group, has deployed a team scouring social media for death threats to Trump, while a handful of its members tour the country on the lookout for protesters at rallies. Citizens for Trump says Glenn Beck believes Trump “is a man who know [sic] how to get things done”. And speaking of Jesus, Jesus Carmona says, “Voting for Donald Trump for president not another democrats corrupts politicals”. Tea Party activist and founder of Citizens for Trump, Tim Selaty and other pro-Trump groups plan counter rallies in primary states and to rally outside of the Republican convention in July. 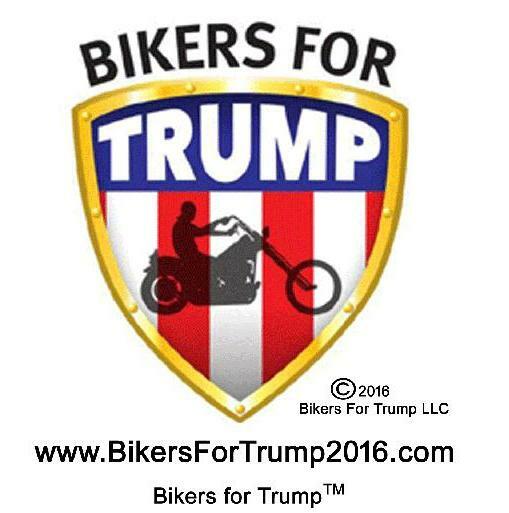 Chris Cox, organizer for his 30,000-member group, “Bikers for Trump” warns if “we are assaulted … if one hair is touched on a biker, you’ll see hundreds of thousands of bikers coming out of the woodwork,” he told Politico. Cox, like many Trump supporters, argue that billionaire and speculator George Soros funds protesters at Trump rallies. Roger Stone is implicated in commanding the infamous “Brooks Brother riot” of November 22, 2000 which stopped the Florida vote recount and helped give George W. Bush victory in the Presidential election, despite a majority vote against him. The Republican establishment failing to “stop Trump” saw the front-runner change demeanor and tone in his NY primary victory speech of April 19 and hastily softened its stance and welcome. Days later, Trump advisors Paul Manafort and Rick Wiley promised party leaders meeting at the Republican National Committee’s spring meeting in Florida that Trump was prepared to tone down his rhetoric. Some outsiders felt Trump’s NY “soft act” wouldn’t last a fortnight and it didn’t. By April 25, the Strongman resumed trashing Cruz and Kasich with fresh insults. reported the Wall Street Journal. 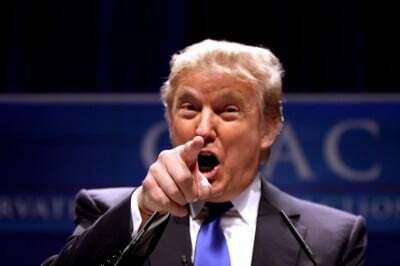 Such personal attacks “defy predictions by some of Mr. Trump’s allies that he would tone down his rhetoric and act more statesmanlike as he gets closer to the nomination,” observed the Journal. GOP incumbents worried over how a Trump-effect might crush their reelection chances in November announced they would boycott the Cleveland convention in July, an event Trump warned would be greeted with riots if he were not nominated. What Wicker calls a “brouhaha” is a Trump “riot”. To this writer’s knowledge, no formal charges have been brought against Donald Trump by politicians who have been verbally assailed and attacked by him or by his supporters, nor has the U.S. Dept. of Justice charged Trump with “hate speech”, intent to incite a riot, or for encouraging supporters to commit a violent crime. In the Daily Beast of April 15, Michael Daly attempted to decipher why Sheriff Swain did not find Trump’s conduct warranted an arrest after the Strongman confirmed he was “looking into” paying the legal bills of 78-year old John McGraw, who had been arrested for sucker punching a protester at a North Carolina rally. There must be intent to incite imminent law breaking. Daly writes: “Had Trump talked about punching protesters in the nose at the Fayetteville rally shortly before McGovern did just that and had at least two more supporters turned assaultive, Sheriff Butler (sheriff Swain’s boss) could very well have put handcuffs on the leading candidate for the Republican nomination. Showing a buxom blond next to an American flag, “NRA Members for Donald Trump is on Facebook. 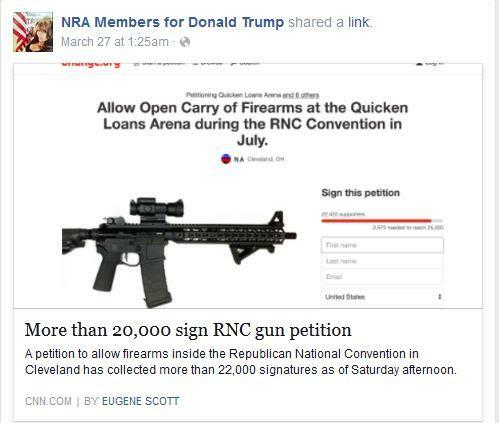 “Allow Open Carry of Firearms at the Quicken Loans Arena during the RNC Convention in July – Sign this petition.” (the petition collected more than 22,000 signatures as of March 27. Michael T. Bucci is a retired public relations executive currently residing in New England. He has authored nine books on practical spirituality collectively titled The Cerithous Material. “Donald Trump cancels Chicago rally after protesters, supporters clash”. Aamer Madhani and Steph Solis. USA Today. March 12, 2016. “Donald Trump calls Bernie Sanders ‘a communist’ at Cleveland rally – video”. Associated Press via Guardian. March 13, 2016. “McCarthyism and the Red Scare”. American Scares. “53a. McCarthyism”. U.S. History: Pre-Columbian to the New Milliennium. “Trump’s Long Romance With Russia”. Josh Rogin. Bloomberg. March 15, 2016. “More Signs of Pro-Trump Strategy of Tension…” Webster G. Tarpley. April 7, 2016. 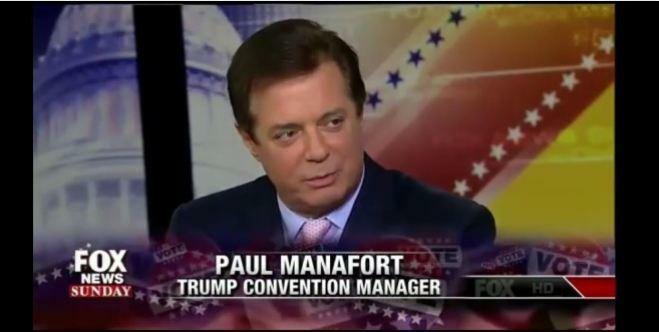 “Trump Campaign Now Run by Manafort-Stone “Torturers’ Lobby,” with Many CIA-Backed Overseas Clients”. Webster G. Tarpley. April 21, 2016. “Trump will work with GOP leaders, advisers say”. Daniel Bush. PBS Newshour. April 21, 2016. “First on CNN: Top Republicans may skip GOP convention”. Manu Raju and Deirdre Walsh. CNN. April 12, 2016. “To Go or Not to Go: Republicans Face Trump Convention Dilemma”. Laura Litvan. Bloomberg. April 20, 2016. “Campaign chief to vulnerables: Stay away from GOP convention”. Alexander Bolton. TheHill. April 19, 2016. “Colorado Will Bring Sheriff to Convention”. Associated Press. Courthouse News Service. April 21, 2016. “Donald Trump Trashes Cruz-Kasich Deal, Rolls Out Fresh Insults”. Beth Reinhard. Wall Street Journal. April 25, 2016. “How Donald Trump Could Go to Jail for Inciting a Riot”. Michael Daly. Daily Beast. April 15, 2016. 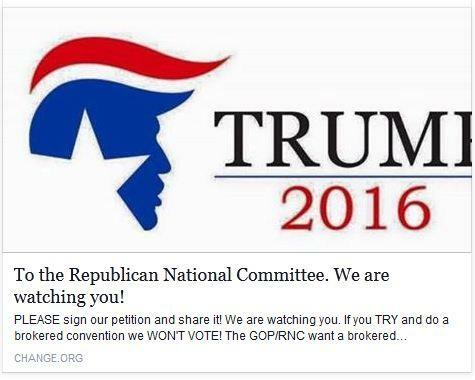 “NRA Members for Donald Trump is on Facebook.” Facebook.